Bath Country Club’s golf course provides a challenging 18 holes of play. If you are ready for a course to challenge your skills, this is the course to play! Bath Country Club isn’t for residents only. Our club is accessible to tourists who are visiting the region. If you’re searching for a place to challenge yourself, come take a trip to one of the region’s top attractions. 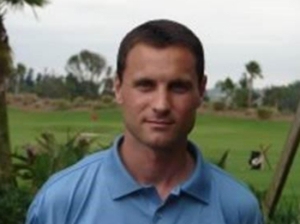 Meet our Head Golf Professional, Kevin Kurcoba! Kevin graduated from Niagara University in 1996 with a degree in Business Administration and Computer Science. While in college, he played baseball, basketball, and golf. Kevin became a Class A PGA Member in January 2007. Learn the basics of the game, or improve your skills with the help of our pros. Bath Country Club offers professional lessons and provides great practice facilities!